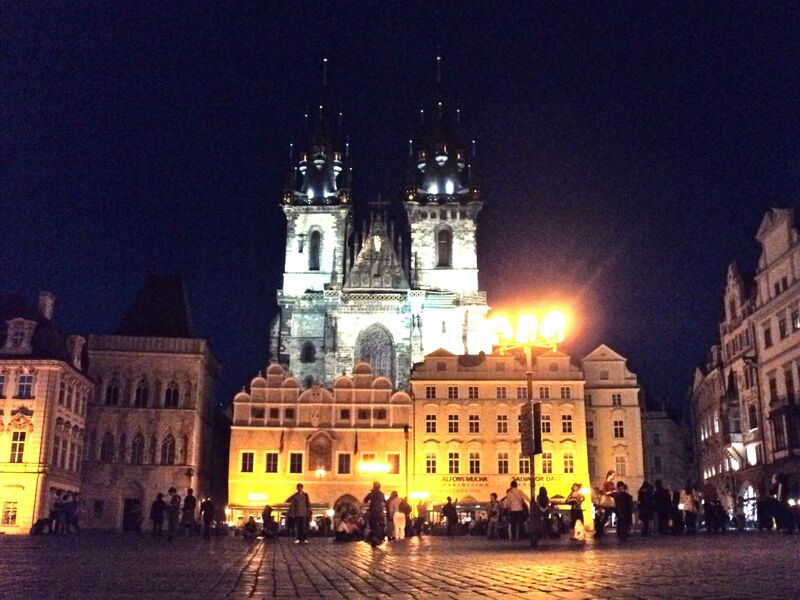 Prague was hot, and crowded, and stuffed with souvenir shops. But even with the crushing hoards of tourists, it still managed to be quite beautiful. I arrived around 8 on Friday night, after a 7-hour train ride. After checking into my hostel, I headed into the old town to see old town square, and then down to the river to see the bridge. 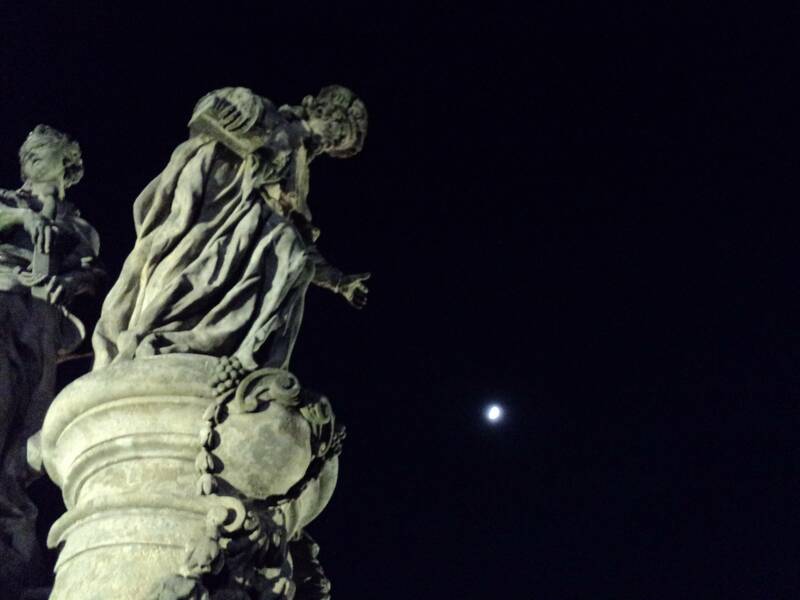 Stone saints on the 15th-century Charles Bridge. Týn Church in Old Town Square. 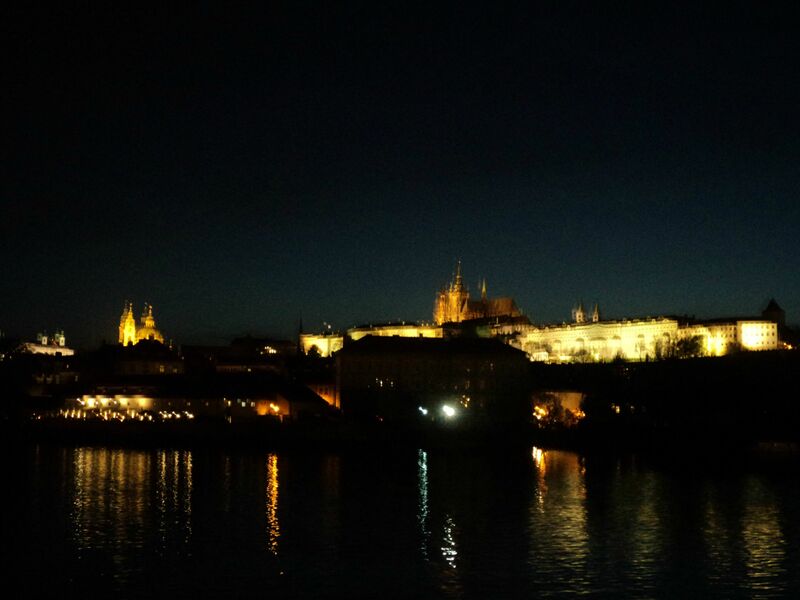 Prague Castle, blurrily, from across the river. It was a fine evening, and it was great to stretch my legs after the train. The river is beautiful, but I do think Budapest wins for river vistas. Although I may be biased. I like the dramatic photo of the saint! I did not realize it would take you so long to get there. You must have finished your knitting project on this trip!